In the ten years I lived in Vancouver, the expression “Polar Vortex” did not cross into my vernacular. Two winters into living in Toronto and I have heard this expression more times than I ever needed to. This was a huge part of why I moved to the west coast. I hate winter. I really, really, really hate winter. I tend to get cold in the middle of the summer so winter weather just isn’t for me. I knew that the one thing I would have to do when we moved was stock up on heavy duty winter gear. Coats, hats, mittens and boots. The whole she-bang. I was also worried about my big kid, since even in the dead of winter they are playing outside at recess and lunch and I am that mean old mom who makes her kid walk to school every day. Finding truly warm winter boots for him was a top priority for me. I settled on a pair that had a solid reputation for warmth and durability and had both an outer shell and warm inner liner. He has been wearing these all winter. This winter wasn’t cold. And this is coming from me! We have had almost no snow this year and very few days where the temperature dipped much below zero. But then this weekend happened. Our first long weekend of 2016 (Family day in Ontario). Day time highs of -25 degrees Celsius. Yes, that was the high yesterday. So cold you barely want to leave the house and your car doesn’t want to start. It was also the perfect time to try out his new Original Muck Boot Company boots. The company, which was started in 1999, set out to create 100% waterproof boots that are actually comfortable as well as rugged and durable. 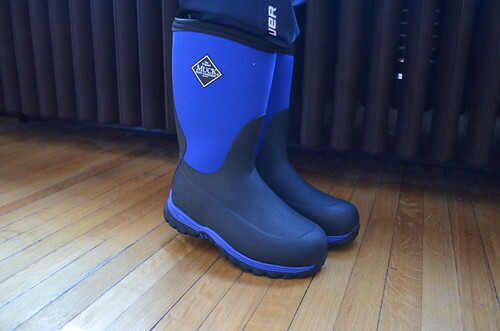 I got him a pair of the Kids Rugged II (extreme winter boot), which are styled like another popular brand of winter and rain boot that I see on many people these days, with a neoprene upper and a heavy-duty slip-resistant outer sole. The boots are rated to -40 degrees (there is a fleece lining inside the boot) and are fully 100% waterproof. I loved that these boots were tall. Much taller than the winter boots my kid already has. I also got him to run around outside in them to see how they felt. He said they were really comfortable and he wanted to go play in the backyard in them. 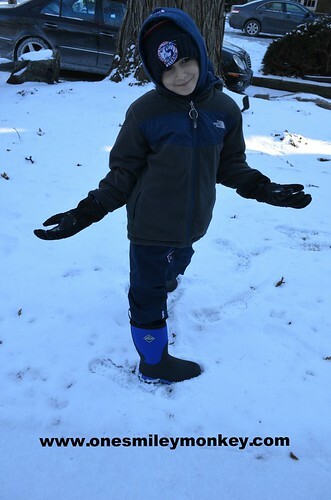 I also got him to try on one of these boots at the same time as one of his own winter boots to see if he preferred one over the other and he chose these immediately. I asked him why and his answer was that these were more comfortable because there wasn’t the inner lining like his other pair. I think that these make a perfect fall winter boot given that they are waterproof. They are also a slip on and off style, which makes them very easy to get on quickly since there are no laces or zippers to worry about. I also love that neoprene dries very quickly and this is critical for kids who are going in and out of the cold and wet multiple times a day. There is nothing worse than stepping into a pair of boots and finding that they are still wet from the last time they were worn. The Original Muck Boot Company has a huge variety of boots and a great selection for men, women and kids. The Kids Rugged II retail for $89.95 USD and are available online and at many specialty retailers. If you are looking for a great waterproof boot for yourself or the kids, these are a fantastic option. Win it: One very lucky US/CAN reader will win a pair of Kids Rugged II boots (same ones reviewed here, colour of choice). Approximate retail value: $90USD. Enter to WIN below via Rafflecopter. Good Luck friends! I like the Breezy Mid Garden and Rain Boot , Living on the west rainy coast they would be perfect for the wet ,muddy conditions! I like the Arctic Sport II for kids. They are practical. My son could use a pair of the Kids Hale. I love the Kids Rugged or Kids Rugged II boots the most for my boys. LOVE the colour options! Id love the kids hale boots for my kids!!! we always need good weather proof boots and we love muck brand! The Kids Rugged would be great!!!! My favourite boots are the waterproof western leather boots. I love the western boots!! l like the Women’s Arctic Sport II Tall. My favorite are the black Women’s Western Leather Boot. I love the women’s Pacy II boots. I like the Girls Arctic Adventure Boots in Blue Plaid. I think my daughter would love them. I like the Women’s Tack Classic in the pink and black colour. I like the features and the variety of color options for the Rugged II. I like the Women’s Como Leather Boot in Grey. My favourite are the Sporty, Multi-Season Boot in Purple/Black. I like the Arctic Sport II boots! The Artic Sport is my favorite! I recently bought my husband a pair of Muck Boots and now I need a pair for me! My favourite pair are the Kid”s Outdoor All Weather Sport Boot in Pink Hearts. For myself I like the arctic pro, they look warm and tough! I love the Girl’s Breezy Rainboot in the purple gingham! I’d love adventure boots for my puddle stomping daughter! I like Arctic Sport II so my son can wear it and then my daughter can too when she is older. And yes I have never heard the polar vortex ever before I moved away from Vancouver. My son will need it during recess too next year so thanks for the reminder!! The Women’s Como Waterproof Leather Boot in Grey is awesome! Looks tough but keeps its style! I like the boots in the Diamond Leather Collection. I know that the Kid”s Extreme Winter Boot in black would be perfect for my son! Love all the Muck boots!!! my fave pair of boots are the Best Selling-Tall Winter Boot in white swirl. I like the girls Arctic Adventure boots. I like the Girls Arctic Adventure Boots in the blue plaid. The Kids’ Hale boots! All weather boots would be perfect for my little guy! I love the kid’s Hale boots in the pink zebra stripe! So fun! I like the black boots for my son! i love the Girls Arctic Adventure Boots! The Kids’ Rover II are super nice! I love the Kids’ Hale Outdoor All Weather Sport Boot! So many great colours! I like the kids rugged II in black. winters can get really cold! I like the Kids’ Hale boot because they would keep my son dry while he’s splashing about. The Kids Rugged II in all black for my youngest son would be great to win! I think they would keep him good and warm and he would like this style. The girls arctic adventure boots in purple are really nice. I would have a hard time choosing which pair to get! These look amazing! My favorite boots are the Girls Arctic Adventure Boots in purple and black. I would like to get a pair for each of my granddaughters. I love the Rugged II in Blue-Black for my son. I love the kid’s Hale All Weather boot. I love the Kids Rugged II in the pink real tree pattern. I like their rain and garden boot. For myself, I like the Women’s Como Leather Boot. For my grandson, I like the Kids Rugged II. I like the Girls Arctic Adventure Boots in purple and black. I love the Girl’s Breezy Rainboot in black and white Gingham. Best part is that I can get an adult pair and match with her!! My son is in love with the Kids Hale…they are beautiful. I like the girls’ breezy rainboot – three cheers for insulated galoshes! I like the Arctic Sport II! They all look like good quality boots for any weather! I like the Arctic Sport! After visiting the Muck Boot website, I would have to say my favorite pair would be the Men’s Pursuit Snake Boot. My husband spends a lot of time out in the woods, and we have Copper Heads around here really bad! Love love love the girls breezy rain boot in all colors! I think I like the rugged 2 best. I like the Breezy Mid, which would be perfect for gardening. I think the Men’s Pursuit Shadow Ankle book would be perfect for my husband for his hiking. My favourite boots are the Kid’s Hale, All Season Boots! Thanks for the great contest! I like the Women’s Verona Leather Boot. These boots look awesome! I hope I win!! I really love the Women’s Verona Leather Boot!! I really like the look and features of the Hale boot – both for myself or for my kids. I really like the Women’s Arctic Weekend boots, they look so warm & comfy. I love the Tack II Mid Stable Boot in ladies size 8! My favourite boots would be the waterproof western leather boots. I like the Women’s Artic Sport II because it’s nice and tall. Just this morning snow got in my tall boots!! Love the Girls Arctic Adventure Boots….they look so cozy and warm! The Wellie Muck Boot looks good! I love the Kids’ Hale all weather sport boots! So cute and practical, too! The kid’s hale, navy and orange would be great for my boys! My favorite is the Pursuit Stealth Premium Athletic Hunting Boot. I love the Arctic Adventure boots! I like the women’s arctic weekend boot. I love all the Women’s boots! Especially the Women’s Como Leather Boot, so stylish for a good outdoor boot! http://www.muckbootcompany.com/product/Mens-Arctic-Sport-Steel-Toe/muckboots-arctic-collection THey’re steel toed rubber boots but not too sure if they are safety approved. I work in food manufacturing and we wear these white ones right now, steel toes, the grip on the bottom is horrid, wears out in about a month and you rarely want to go outside with them in the winter time to take the garbage out. Also the plants cold…10C because its food, which needs a certain temp and thats most of the plant, not the holding areas which are even colder. I love the Women’s Verona Leather Boots, they’re Beautiful ! I really like the Women’s Tack Classic. It’s a good all around boot. I really like the Kigs Rugged II in Navy-Green. I would like the kids hale pink or purple zebra outdoor all weather sport boot for my daughter. These boots look comfortable. Visited The Original Muck Boot Company and my favourite pair of boots from their site would be their Women’s Como Leather Boot – they would be my go to boots for sure! I like the Girl’s Breezy Rainboot in purple. These boots are perfect for going to the barn! My favorite pair is the Girls Arctic Adventure Boots in pink plaid! I love their Women’s Verona Leather Boot! I love that they are leather, and they look so fashionable & comfortable! I Love The Reign Taller boot. Look great in my yard doing the Gardwn. Gorgeous❤️???????? I’d love the Arctic Weekend Scrunch Boot in polka dots for myself! So cute! And comfortable! I love the Arctic Weekend Scrunch! I could soooo see my feet warm and happy in those! I just know that my daughter would absolutely love this boot! http://www.muckbootcompany.com/product/Kids-Hale-Winter-Boot-KBH/KIDSWIN She loves anything leopard print and I love the quality it looks like these boots have! Hale because I like the color red and black. 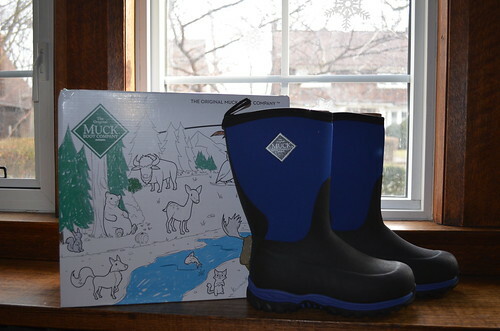 The kids http://www.muckbootcompany.com/product/Muck-Kids-MucksterII-Low-Boot/KIDSWIN are so cute and granddaughter would put these to good use everyday! My daughter said she would choose the Cheetah designed Kid’s Hale boots! Deb Dorrington says... "What a beautiful resort, I am so glad I came across your art..."